Any woman would like to have the full attention of her lover, to be treated well, pampered, and their feelings not to be hurt. Such care for women have just several men from zodiac. 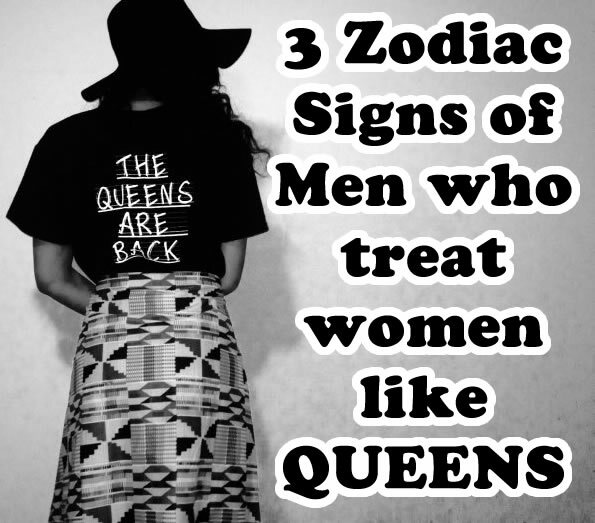 Here are the zodiac signs of men who treat you like a queen! The Aries man is affectionate and, from the permanent need to feel himself the first in everything, he takes care his woman to feel the same. Very empathetic, they know exactly what to tell when you feel bad. When you suffer, they come with the most beautiful ideas, through which you feel pampered. Moreover, the pampering seems to be the principle on which bases his relation: they wake you up in the morning with a cup of good coffee, a perfectly cooked omlette, sprinkled with olive oil, blue cheese, grapes and cranberries. Besides the perfect breakfast, the Aries chooses a special menu to impress you day after day. If you are a gourmand, the Aries is ideal for you to feel like a queen. The holidays which you will spend together will be remarkable. He does not like banality, so you will experience scenes like from films and, in addition, he succeeds to do this without burning a hole in the pocket. A sign governed by Venus, the Libra is a combination between beauty and modesty. He puts his sweetheart’s interests on the first place and tries to satisfy her in all areas. It is the perfect mix between the romantic and thoughtful man who knows when to be down-to-earth. The only problem of the Libra man is that the love for you makes him want to put at your disposal even the things which he cannot afford. When this happens, he enters an unbalance from which he can hardly return. But, usually his choices are good, and his partner will be close to him and will help him come out of the impasse. The Leo treats you like a queen just in bed. And this is because he knows that if he gains in this way your interest, he will experience everything he wants in bed, as well as in the daily life. Attention! This is a trap laid by the cunning individual to have the life which he wants in a relation. Maybe it is not so serious, as long as you understand each other and you are satisfied, in your turn, to please the Leo, taking into account that the rewards will “reflect” on both of you.